Ships from and sold by VINCERE SOLUTIONS. Make that feeling last a lifetime with the α68 world's 24.2 MP Exmor CMOS sensor, 79 points high-density AF system, Indian colour setting, Tiltable LCD screen, OLED Tru-Finder and lot more. 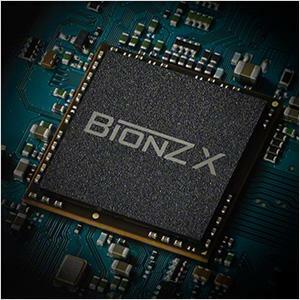 With three times the processing speed of earlier models, the new BIONZ X is able to accurately capture textures, reduce blurry details and even suppress visual noise in specific areas to ensure sharp images. All these advantages apply equally to still images or video. This revolutionary camera captures all the different reds and bright shades of an Indian environment, realistically and perfectly. 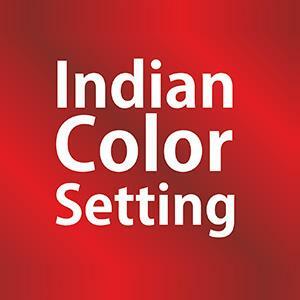 A68 is a must for every photographer to shoot those true Indian colours. 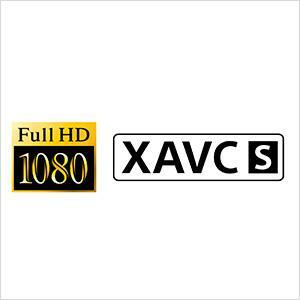 For extremely high image quality and minimal noise, record movies in the high-bit-rate XAVC S format which enables Full HD image recording at 50 Mbps (60p/50p, 30p/25p, 24p). 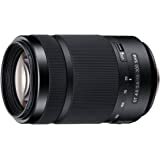 Effective image stabilisation for any compatible lens, throughout the entire focal length range. 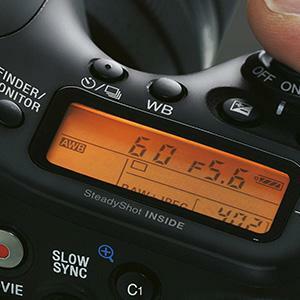 Helps stabilise the viewfinder image while the shutter button is halfway pressed. 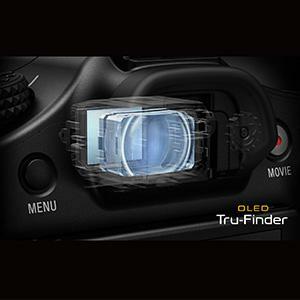 OLED advantages of tonal gradation, colour reproduction and contrast, this electronic viewfinder makes it easy to view true-to-life images. It also lets you compare different effects of setting changes as well as use MF Assist and a Preview function to fine-tune focus and preview shots, including those with defocusing effects. This "must have" feature of this mid-range camera facilitates quick, easy setting and confirmation especially with a tripod setup. 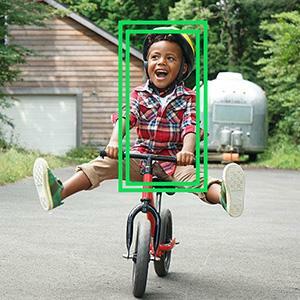 Face Detection with Face Registration can detect up to eight faces in a scene and adjust exposure, white balance, flash and other settings for beautiful portraits. 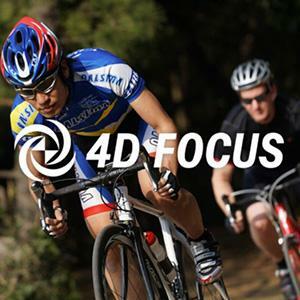 Eye AF further assures sharp focusing on the face by detecting an eye to focus on. 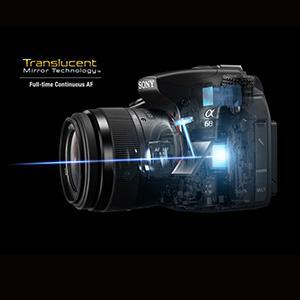 Records with superior speed and precision of full-time continuous phase-detection autofocusing even during Full HD movie shooting, thanks to proprietary Translucent Mirror Technology. 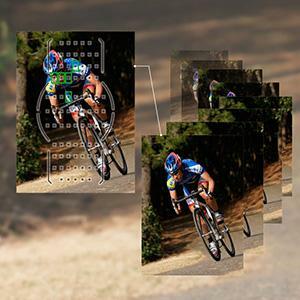 Tiltable LCD screen (2.7-type) to clearly shoot at max.135 degrees up and 55 degrees down, enables shooting over the heads of people in crowds or on the ground for a startling view of pets and flowers. 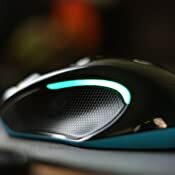 Brightness is adjustable. The control wheel on back is popular among α7 series camera users and you can modify its functionality according to shooting intention for quick changes of camera settings as you look at the viewfinder. 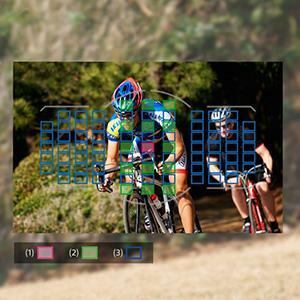 Assign frequently used functions to the customisable buttons of your choice. Easily reassign 11 buttons to activate any of 49 functions for faster, more intuitive operation. Poor picture quality AA filter reduces the sharpness in photo. 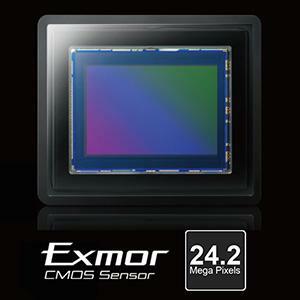 Limited use of IS in this camera because sensor based IS. Not 5-axis IS. The product is awesome and image quality is excellent.seller is authorised..the product was delivered as shown in the image.. Received the product of made in thiland, on August 2016. The package is old. 5.0 out of 5 starsBest among its category. 5.0 out of 5 starsThe Camera Which BEATS Both Canon 750D and Nikon D5500 Hands down ! Before anyone of you start complaining Canon is the best there is blah blah... I've heard it all so please don't start. Next comes the Nikon D5500 which comes around the same pricing range and let me state that overall when it comes to image quality, Canon, Nikon, Sony and even Pentax model are all good...minor variations perhaps. I've shot using Canon 5D Mark III so trust me... for Rs.50,000 ... 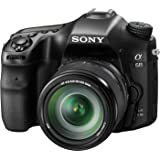 This is Sony A-68 is leaving me speechless in comparison to the 2 Lac Rupees camera. 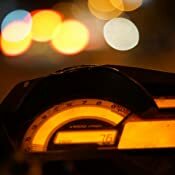 The attached images have been shot using the Sony SAM 50MM F1.8 Prime lens A-mount which costs around Rs.8,000 and my god... the lens MAKES WORLD OF DIFFERENCE. Sure the bundled 18-55mm lens helps a variety of uses especially when you don't have much space to work with and going wide with the 18mm or so helps you get the shot.. But when you CAN...use the 50mm prime F1.8 lens AT 1.8 aperture.... the shallow depth of field (BOKEH !!!) 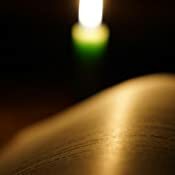 makes the most common things really beautiful. And for such a low price it's extremely outstanding. 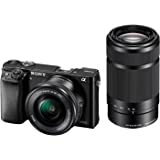 There is the option of Rs.25,000 50mm F1.4 other Sony lens which is actually a re-branded minolta lens design... The SAM 50mm f1.8 has satisfied EVEN Me...a Bokeh crazy person. 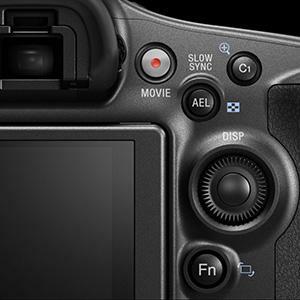 The camera has the feature in ISO called "Multi-frame NR(noise reduction)" . For those who aren't shooting to create Model portraits (who definitely should go for RAW format and EDIT in photoshop do all noise reduction themselves, and all correction etc. ), Most other normal users, please use the Multiframe NR option. It clicks 4 pictures and does a great job of noise removal in your pictures. The body build is VERY Sturdy and FEELS great in the hands. I've held a Canon 5D so trust me, I know. The MAJOR PRO of this Camera is... BLAZING FAST Auto focus and Electronic viewfinder. I've had many horror times with the 650D and 700D on using auto focus and at Many times...Takes like 6-7 seconds or longer to AutoFOCUS even with the optical viewfinder and nearly IMPOSSIBLE with the live View LCD Screen. But this sony DOES INSTANT FOCUS. 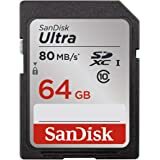 No matter the screen or viewfinder... NO CANON OR NIKON DOES THIS AT THIS PRICE RANGE and I swear it makes a lot of difference. The other great feature of this camera is FOCUS PEAKING .. you enable it in the menu and when using manual focus ... Red cluster of dots highlight which are is in Focus. 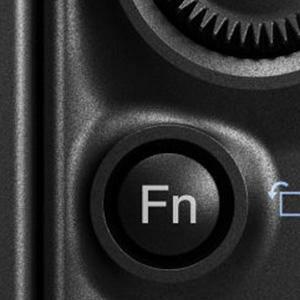 In canon cameras, there is no such feature and can only be enabled by flashing a custom firmware which is definitely a headache and many wont even try it. in the End.... This camera is the best and even Beats the CANON 80D hands down. 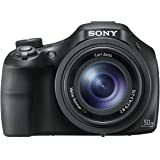 Doesnt matter if you can get a FULL FRAME 35MM Sensor camera somehow at this price... it SHOULD LET YOU TAKE THE PICTURE. Else there is no use how much ever big camera you have. 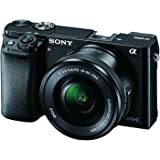 5.0 out of 5 starsExcellent DSLR for semi pro photographers. 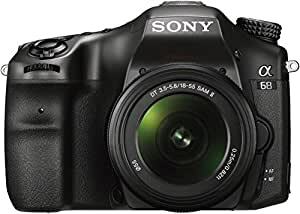 I have purchased it from Great Easter Trading, I am writing this review since a lot of photographers are into Nikon & Canon, but few of them know about Sony Alpha 68K. First of all let me tell you frankly i am also a Nikon fan, i was planning to buy a DSLR since a long time and my choice was Nikon D5500. When I got into the shop they told me they didn't have D5500, but they have D5600 both the cameras are almost same. At the time the guy showed me Sony Alpha 68K and told me some of the noticeable differences between Nikon & Sony. The things which changed my mind is the Autofocus points 68K has double the autofocus points as in D5600. Also the in body image stabilization which gives you freedom of buying non stabilized lenses, saving a hell lot of money. Another excellent feature is the proximity sensor which allows you to switch to VF and the screen without any button, as well as the translucent type mirror which allows the camera to show the picture on VF as well as the screen simultaneously. 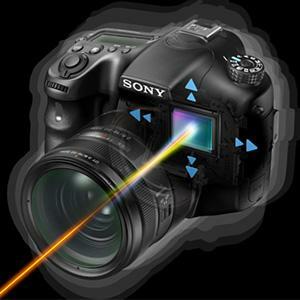 The battery is also more than its in D5600, sony has a 1600mAH while D5600 has 900 mAH. Now you must be thinking that Nikon has rotating screen, WiFi in it, and I think this features has nothing to do with great shots. Rotating screen has an advantage with those who are into vlogging and i think you can spare an extra 2 min of time while transferring the photos from camera to PC. Also one more excellent feature which Alpha 68K has is the top digital display panel which is usually present in high end cameras like canon 5D. 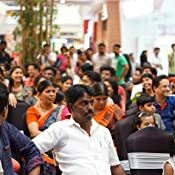 I got a great deal from Great Eastern Trading @ 48,000 Rupees including GST. 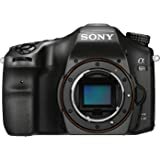 What I want to say is give a break to Nikon & Canon, try Sony Alpha series and i bet it will equally impress you. Just have a look at the shots I took with my 68K. The image quality of Sony A68 is on par with a point and shoot camera at best.The color is under saturated in shadows and too punchy in Sun light. 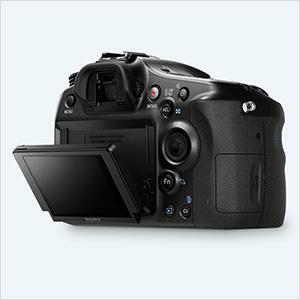 Most of the DSLR cameras in entry level and mid range is nothing more than point and shoot in SLR body. Also, please refrain from purchasing it from Online portals. Don't waste money only to realize that there is a great deal of difference between expectation vs reality. 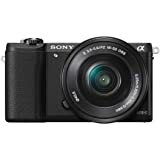 its good for professional photography but not difficult to do its very easy to handle and good camera than d750,d5500,d760 fast focusing camera with built in stabiliser.